Bauhaus was the bedrock to what the world sees today as revolutionary. It was one of the first proper design schools and the first to set out and prove that functional need not be boring. 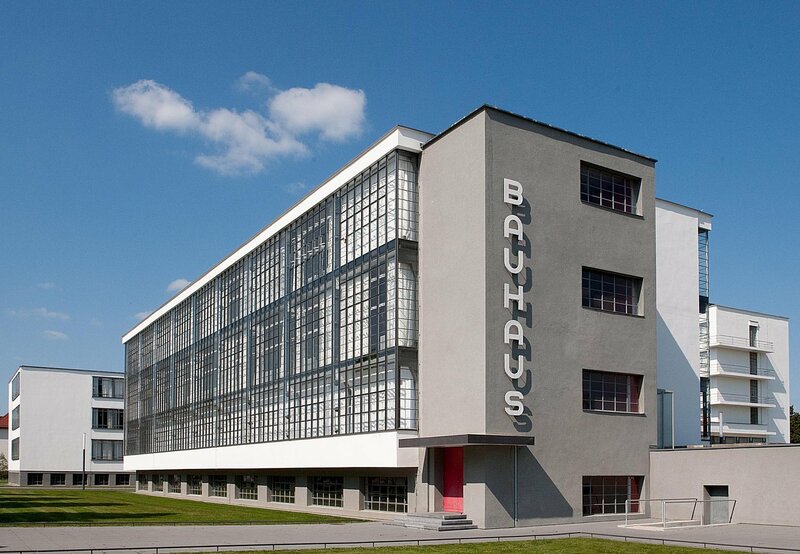 Bauhaus was the epicentre of creativity, innovation and technology in the early 1900s – the Silicon Valley of that era. Where others see as unconventional, the disciples of Bauhaus have created some of the most iconic contemporary objects such as nesting tables, table lamps, Mies van der Rohe’s Barcelona chair and Bauhaus doorknobs by Walter Gropius, whose design DNA is prevalent in everyday things like the iPhone. Founded by Gropius in Weimar, Germany back in 1919, the Bauhaus style played the most prominent role in shaping the foundation of Modernist architecture, art and design. Bauhaus, which was first initiated as a school soon became an important cultural experimentation following Germany’s defeat in WWI – there was a desperate need rebuild the city and the architects find the need to focus on form and function. They needed a new template for buildings and more. The movement revolutionised the practices of artists, artisans and architects in the short 14 years before Adolf Hitler ran it out of Germany – sending prominent Bauhaus supporters including its founder Gropius, Ludwig Mies van der Rohe and Bauhaus furniture master Marcel Breuer into exile abroad to ‘spread’ the school’s ideas around the world. The forefathers of Bauhaus also drove the subsequent developments in industrial design, interior design, graphic design and typography. But its contribution to the facets of architecture is immense. The Bauhaus period, also known as the International Style, pretty much shaped modern and contemporary architecture we see in major metropolitan cities. This period, defined by the absence of ornamentation, open and airy spatial quality, a heavy focus on the use of glass and metal, as well as its rectilinear forms (flat roofs), has given buildings we see today its shape and allows the opportunity to build higher – skyscrapers to say the least. As Bauhaus, the most influential design style of the 20th century marks its 100th year; its legacy lives on across the globe through buildings that bear its significant characteristics still being preserved up to this day. Here are the best places around the world to see the Bauhaus style in 2019, its centenary year. 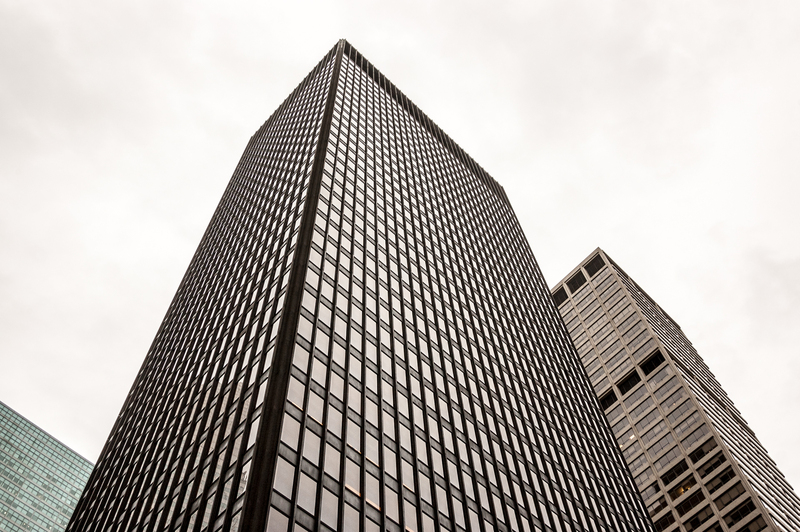 The Seagram Building is one of the best examples of Bauhaus or the International Style as the first tall structure to use vertical truss system (now popularized as the I-beams). Sited just across Park Avenue, the building looks like a simple bronze box (it used 1,500 tonnes of bronze in its construction) but is seamlessly integrated with the surrounding with an open granite plaza – you’ve probably seen this in the 1961 film Breakfast At Tiffany’s. Its architect, Mies van der Rohe intended to create an open space in front of the plaza as a popular communal area for the public. 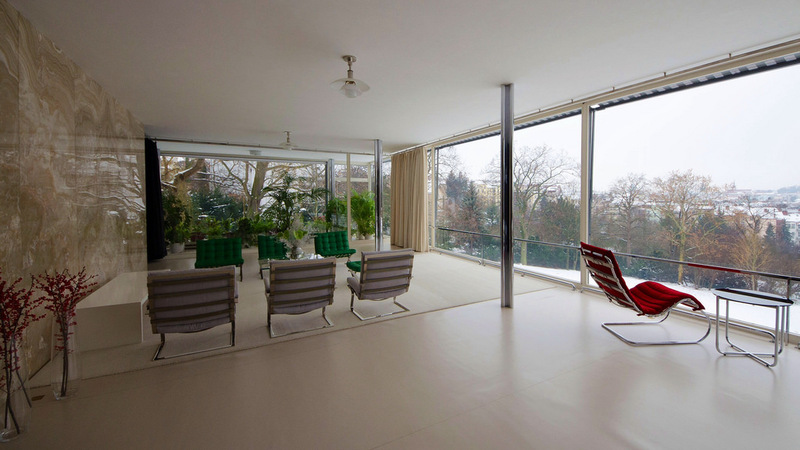 Mies was also asked to design a house on a plot of land overlooking the ancient capital of Moravia by the Tugendhat family of Brno. He created a unique steel-framed building that exemplified the perfect spatial flow between internal and external zones – click here for a virtual tour. It is now open for study tours and houses various exhibitions including the upcoming premier of The Glass Room, a film based on Simon Mawer’s Booker Prize shortlisted novel which was inspired by the house itself. 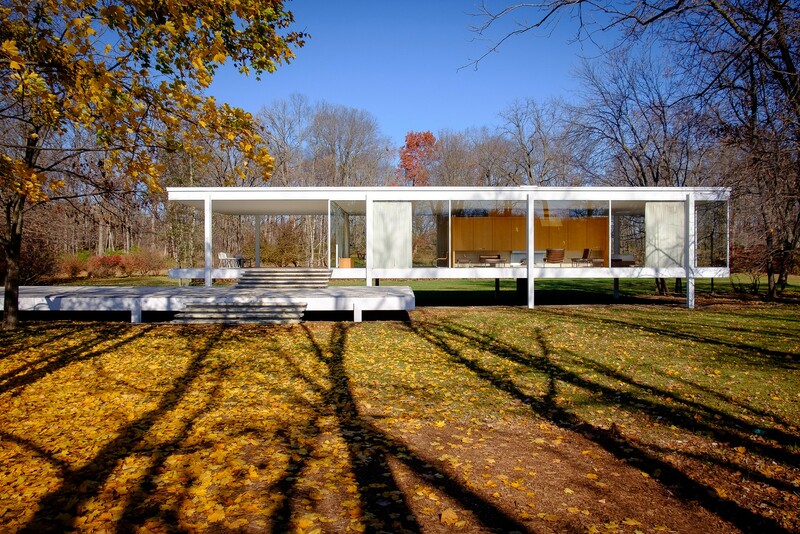 Chicago is where Mies van der Rohe resided in the latter part of his career, designing his signature statement towers like the Lake Shore Drive as well as the iconic Farnsworth House. Conceived in 1945 as a country retreat, the house has a platonic structure raised 5 feet 3 inches above the ground, overlooking the Fox River. The residence, located approximately two-hours drive southwest from Chicago in Plano, Illinois is open for tours every April to November. There’s no better way to experience Bauhaus than to stay overnight in the legendary Bauhaus building in Dessau. This is where Bauhaus proteges once lived and worked. The studio building completed in 1926 is known as the Prellerhaus, a name adopted from a similar studio in Weimar and commemorates the court painter Friedrich Preller. There are 28 studios in total, each measuring around 20 square metres. If you’re there, be sure to walk over to the nearby Masters’ Houses where school leaders and legends like Walter Gropius once lived. 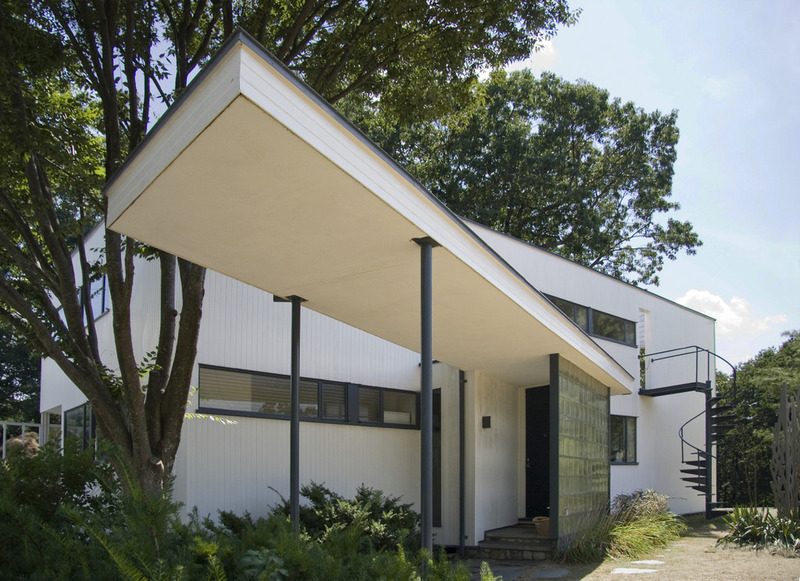 Walter Gropius designed his family home when he came to teach architecture at Harvard’s Graduate School of Design. The house might be modest in scale but its impact was indisputable to the fields of township and urban planning. Gropius combined traditional elements of New England architecture with innovative materials including glass, chrome and the latest technology in fixtures. 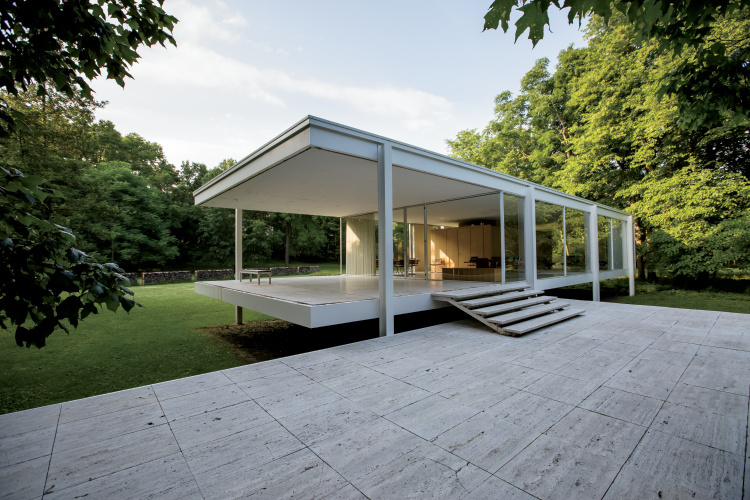 The house featured a beautiful collection of furniture designed by Marcel Breuer and fabricated in Bauhaus workshops. In true Bauhaus style, the house and its landscape represent maximum efficiency and simple elegance. It is currently open to public for visits and private events. No city in the world has a larger collection of Bauhaus buildings than Tel Aviv — it was designated the UNESCO World Cultural Heritage site in 2003. Designed from the 1930s by German-Jewish architects fleeing the Nazis, there are over 4,000 apartment buildings in pearly white facades – mostly used as affordable housing blocks. Nestled in north London, Isokon Flats (also known as Lawn Road Flats) is a concrete block of 36 apartments built in 1934 as an experiment in communal urban living and Britain’s first block of Modernist flats. The sculptural building was once home to Walter Gropius and Marcel Breuer. 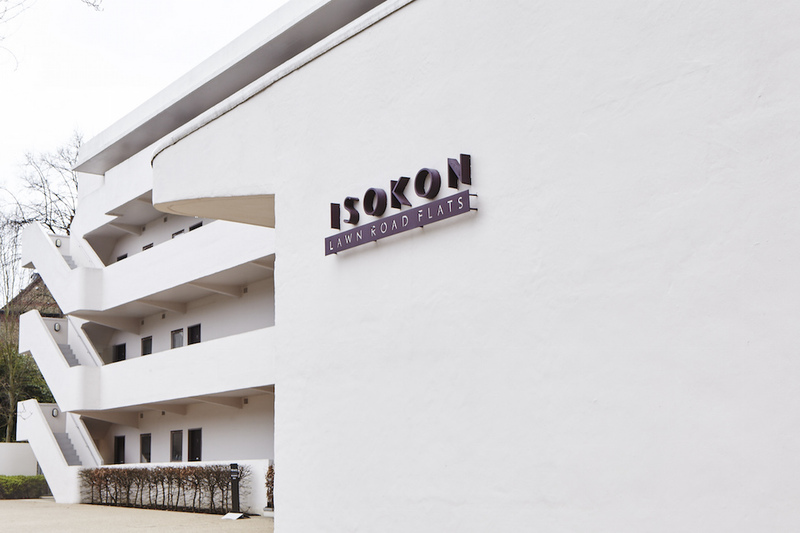 It is now home to Isokon Gallery with a permanent exhibition about the building.